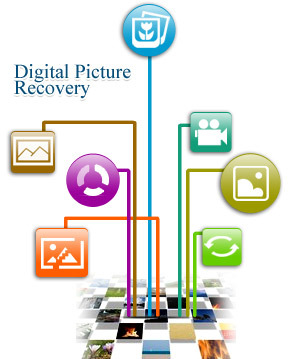 As one of the top recovery utility in the world, we offer software for the lost digital pictures, images, audio-video file management and security. Saves your wedding photos or baby snaps which you have lost from your digital still cameras and similarly restore your family photos and video albums lost or missing from any Windows hard disk or removable media (including Thumb drive, USB flash memory devices, External hard disk drive etc). The data recovery algorithms used in the software make the recovery process fast and easy process. Support all major digital media manufacturer including Nikon, Sharp, Fuji-Film, Kodak, Toshiba, Sony, Konica, Hewlett-Packard (HP), Panasonic and other major brands for data recovery lost due to factory setting-resetting. Data recovery when error messages occur while accessing your removable media in My Computer. Safe and easy to use non-destructive data recovery software. 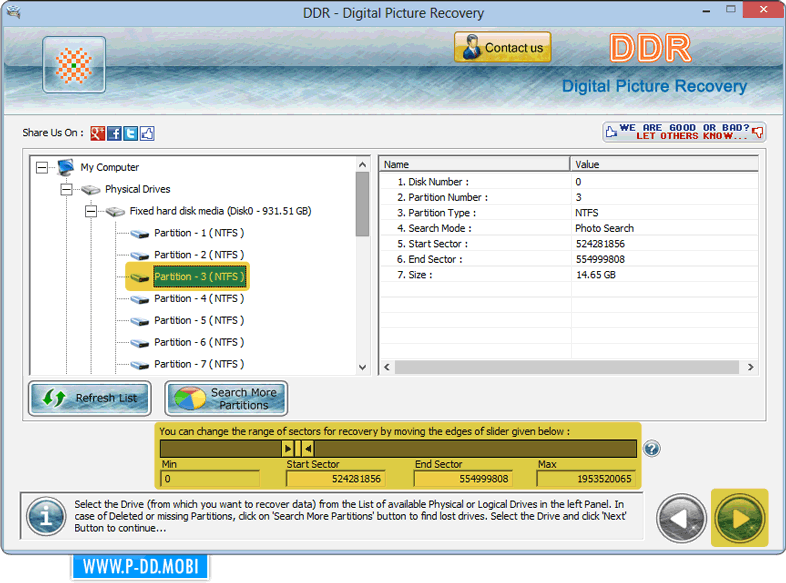 Recovers all lost, deleted, missing photo and pictures saved in the hard disk or any removable media. Data recovery support after accidental deletion, formatted or corrupted HDD or any USB media. Restore major picture files saved in jpg, gif and jpeg. Supports major hard disk brands including (Western digital, Seagate, Toshiba, IBM, Maxtor etc) and removable media devices (Canon, Samsung, Maxell, Sony, Konica-Minolta etc).